On this page, you will find answers and hints on common questions that may occur while using the Qiu. Please carefully read the manuals supplied with the Qiu and check out our instruction videos for Qiu. You can find them here. We generally point out that the difficulty of the HRV biofeedback exercises, it’s duration and the breathing recommended for the training should be changed only with the consent of your supervising therapist or coach. If you cannot find an answer to your problem or question, please send an email to info@biosign.de with a brief description of your problem. For configuration on the PC, connect the Qiu to the PC using the supplied USB cable and start the myQiu software. Go to “Configure Qiu” and change the settings for the brightness as desired. To switch to menu 2 – “Brightness”, press and hold the On / Off button until all blue LEDs light up. Now you can adjust the brightness of the biofeedback LEDs. The brightness of the color-coded biofeedback (red / green) is dimmable in seven steps (blue LEDs No. 1 to 7, Qiu lights green). Level 8 (Qiu lit purple) switches the color-coded biofeedback (red / green) to intensity-coded biofeedback (light / dark). Intro: The green biofeedback light is dimmed from dark to the currently set brightness. The set level is indicated by a single bright blue LED. By pressing the button briefly, the brightness can be increased by one step. To end the configuration, press and hold the Power button until the unit turns off. If the Qiu flashes red once, the device indicates that the batteries are becoming weaker. A double red flash indicates the batteries have to be changed soon. The Qiu flashes three times red if the batteries need to be replaced. Please change the batteries as soon as possible so that there are no major deviations in the date and time function. Before changing the battery, please turn the Qiu off or disconnect the USB cable from the USB port if the Qiu is connected to the PC. Hold the Qiu with the transparent side facing up. To remove the upper shell, turn it counter-clockwise a few millimeters until the latch opens. Remove the upper shell, open the battery compartment, and remove the empty batteries from the battery compartment with light pressure against the sprung side. Please dispose of the used batteries according to the applicable legal regulations. Unloaded rechargeable batteries can be recharged with a battery charger (not included) after removal from the device. Use 1.5V primary batteries of size AAA (LR3 – Micro) to operate the device. Alkaline batteries are recommended. Alternatively, rechargeable 1.2 V NiMH batteries of the same size can be used. Please only use 2 batteries of the same battery type. When inserting the batteries, make sure that the polarity is correct (indicated in the battery compartment). To close the Qiu, put the upper shell on the Qiu and turn it clockwise until the latch locks into place. In this case you should change the batteries. Before changing the battery, disconnect the USB cable from the USB port if the Qiu is connected to the PC. Your Qiu is probably set to a low degree of difficulty (rhythm level). In order to offer a dynamic HRV biofeedback, the device must be configured correctly for each person that trains with it. The adjustment of the rhythm level should always be done in consultation with the supervising therapist / coach. The degree of rhythmization can be set via the configuration. For configuration on the PC, connect the Qiu to the PC using the supplied USB cable and start the myQiu software. Go to “Configure Qiu” and change the settings for the default value as desired. To activate the configuration menu, press and hold the On / Off button until the white start-up light turns off and the blue LED blink line is completely turned off. The Qiu is now in the first menu (rhythm level) of the configuration mode. The degree of rhythmization determines the sensitivity of the biofeedback. The higher the set rhythm level, the higher the heart rate variability (HRV) must be in order to achieve positive feedback. Intro: The biofeedback light changes from red to green to a color value that corresponds to the set rhythm level. A single blue LED indicates the current rhythm level. The set level can be read off from the LED number. Briefly pressing the button increases the rhythm level by one step. If the Qiu lights up blue, it signals that it is looking for a pulse Signal. The Qiu looks always for your pulse at the beginning of the biofeedback exercise,. Once the Qiu registers your pulse, you will see a pulsating blue light during each heartbeat. The biofeedback starts 10 seconds after a pulse has been found. If no pulsations of the blue light can be detected after 20 seconds, or the Qiu does not start the biofeedback, or if it is blue during the biofeedback for an extended period of time, then the sensor position is not optimal. In this case, change the sensor location slightly or try a different holding position. Sometimes the internal sensor of the Qiu does not have a sufficiently good pulse signal. In this case a detection of the pulse signal with an ear clip at the earlobe is an alternative. You can order the ear clip as an accessory to the Qiu. A) the ear clip was not properly connected to the Qiu. Please note that the ear clip must always be plugged into the Qiu before powering on the Qiu. The Qiu searches for external sensors when powering it on. If no connected external sensor is found, the integrated sensor is used, even if, for example, an ear clip is connected afterwards. B) the Qiu cannot detect a sufficient pulse signal while using the ear clip. In this case, it may help to rub the earlobe with the fingers or to change the position of the ear clip on the ear. In this case, please make sure that the Qiu is not connected to the PC via USB. 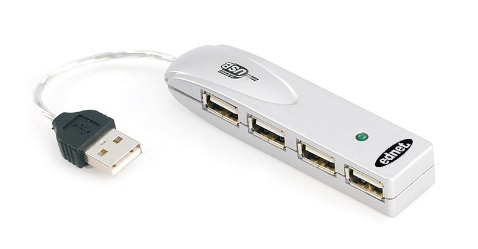 As long as a USB connection exists, power is drained from the batteries.